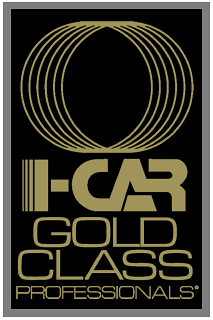 When you want professional, quality collision repair for your vehicle, be sure to choose an I-CAR Gold Certified Shop…. Autosquare Collision Center is proud to be a Gold Class collision rerepair business. The Gold Class recognition indicates that our technicians are trained in the proper repair techniques and procedures that contribute to the complete and safe repair of your vehicle. As a Gold Class shop, we require each of our technicians involved in the collision repair to take ongoing training every year. This includes classes on the new vehicle technologies and the latest repair techniques. Autosquare Collision Center is among only 10 percent of collision repair businesses to achieve Gold Class status, whereas shops that are not Gold Class may train minimally or not at all. Gold Class shops are trained on how to fix your car right; on what can be repaired and what needs to be replaced; and on how to see hidden damage you may not see. 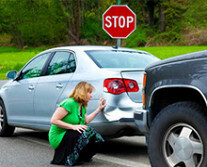 Two or three people find a repair shop by talking to friends or relatives. Don’t take chances. Refer your friends and family to Autosquare Collision Center and let our trained repair professionals take care of them today!